So NIS won a Guiness book of world records award for most number of SRPGS by a company.Now that is something.It is quite an achievement considering the fact that they are relatively new,having debuted their first game on the playstation 1.So congratulations to NIS,they have done well and we are all proud of them.But this article is not about their record breaking feat. Over the last couple of years NIS has chanced it's hand in other genres and produced some high quality titles, of course with that special brand of NIS humour that we all know.Granted there are not many of them but they are all must play games for their fans nonetheless.All of the games listed have a few things in common. 2.They are funny.Sometimes sadistic,sometimes mocking,but always a good laugh. 3.One way or the other they make you grind. 4.They make the grinding enjoyable. Holy invasion of privacy badman.What did I do to deserve this my lord? All right I cheated a bit here.But you know what they won’t mind.Also I did not make this title up.While Acquire developed this game NIS was the first to recognise that it deserved to be released overseas.And they were right! Anyone who has played dig dug will be right at home with this one.The goal is to defeat those pesky heroes who always foil the plan of Badman to take over the world.How do you do this?By digging up the land and creating dungeons. 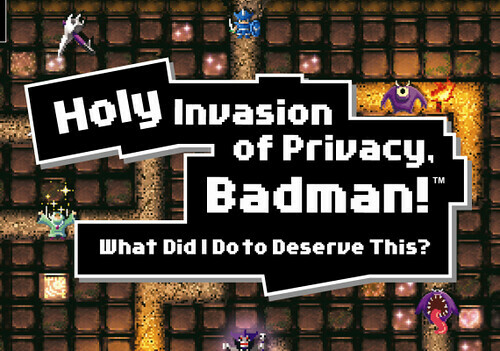 The game itself is played in two phases.The first phase involves in digging up a dungeon that can sustain powerful minions and the second phase revolves around protecting Badman for a certain time or better yet killing the heroes. The game features a complex ecosystem.The soil contains nutrients from which minions of the Badman are born.More the nutrients in a block of soil the more powerful minion it will give rise to. At the absolute bottom of the food chain are harmless slimes and moths.They get eaten up by those higher up in the chain and provide food for them. Over the course of time,due to killing by heroes or by other minions the dwellers of the dungeon can mutate.This mutation leads in even more powerful minions and the cycle goes on. 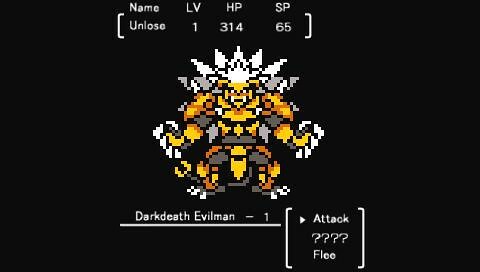 While the premise is simple there are infinite number of ways a dungeon can be created.A lot of trial and error is involved in creating the perfect one as every dig is precious, since there are a limited amount for each stage.The main draw however are the characters in the game.There are not many of them but they are full of RPG cliches and often poke fun at themselves.Badman might be the funniest villain ever. Prinny can I really be the hero! Anybody who has played a Disgaea game know who or should I say what prinnies are.They are the humans who have been sent to Netherworld to atone for their sins.They are highly combustible an refrain from jumping and other physical exertions.Hmm… this would mean that it would be practically impossible to make an action platformer based on these characters.Much to the distress of Assagi the lowly prinnies have got their own game! and an action platformer at that no less.How did this happen? 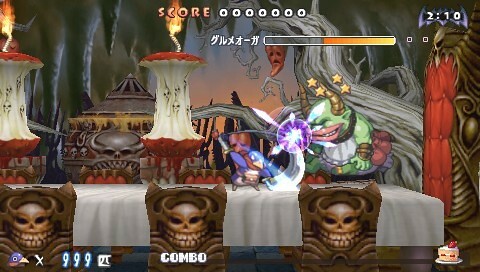 Well Netherworld is a strange place.Extraordinary developments like princess Etna’s cravings for Ultra Dessert can cause confusion throughout and in this pandemonium prinnies are the ones that have to suffer.Etna has ordered them to fetch her the delicious Ultra Dessert by the end of the day.Now the princess is not as cruel as everyone thinks she is.To proove it she prensented the prinnies with a scarf that enables them to jump without exploding.Nice. From here on the prinnies have to face increasingly tougher enemies and get one step closer to bringing the dessert for the princess.The stages change during Night and Day and it will take several retries before getting the good(?) ending.This is one of those games that is so hard that people have made videos on youtube just to show off their skills. ZHP is a oddball even by NIS’s standards.A delicious mix of action,roguelike and turn based elements,it takes grinding to new heights.The dungeons are all randomly generated and you start at level zero.For every level you gain by defeating enemies your base stats improve.Here is the catch though if you die inside a dungeon all of your levels and equipment acquired are lost. This is not as harsh as it sounds though.Every time you die you are a slightly stronger level zero because your base stats are a bit higher.The other important thing in zhp is the customization.You can customize the suit of unlosing ranger with the help of chips.Legs,body,hands and head are all broken down into small sections on which chips can be installed.Again there are different colored chips with each one corresponding to a specific attribute.These chips are formed by transforming the weapons that you collect during your run in the dungeon. Then there are all kinds of customization that you can do on your base.You can choose to invest in your home,which can help you in the dungeons by giving you food for keeping your stamina up.Or you can choose to spend on the hammer smith for stronger weapons.Maybe you want an extra life,no problem you can buy that too. All in all ZHP is game that can last up to hundreds of hours. There you go some of the top games developed by NIS that are not strategy RPGS.They might have started out as an SRPG developer but over the time they have expanded their reach to gamers of of all kinds.